Moazzam Sheikh was born in Lahore, Pakistan. He studied business, film and library science and is currently a librarian in the Art/Music/Recreation department at the San Francisco public library. In addition, he teaches at City College of San Francisco, writes fiction, and translates fiction from Urdu/Hindi/Punjabi/English. His latest work of translation is Stories of Intizar Husain (Katha). 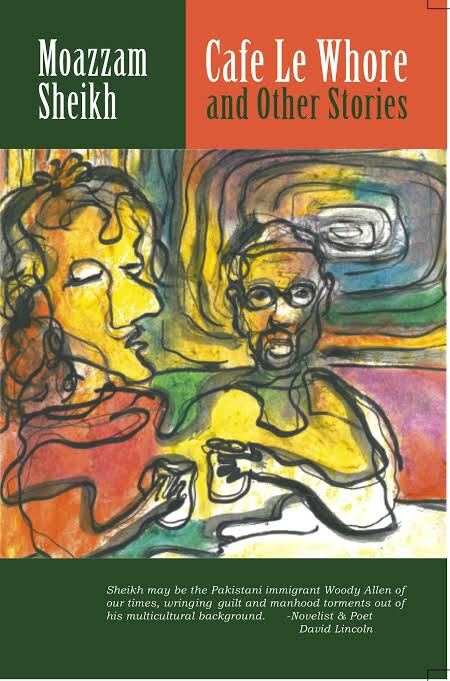 He has also edited a collection of stories, A Letter from India: Contemporary Pakistani Short Stories (Penguin). 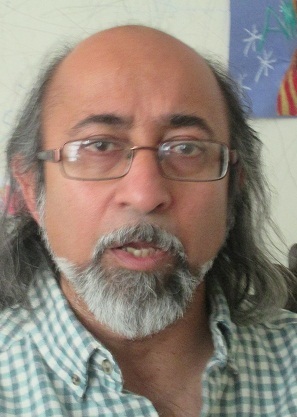 Moazzam is the author of Cafe Le Whore and Other Stories (Weavers Press, 2013), and The Idol Lover and Other Stories of Pakistan (Ithuriel’s Spear, 2008). Here’s an interview with Moazzam Sheikh. You have been described as the ‘Pakistani immigrant Woody Allen of our times’. Do you agree with this description? Well, he’s one of the few American artists who has resonated with me, with my sense of what the world has become, how it deteriorates and how it picks up its pieces, how to find humour in a tragic situation and how a tragedy can metamorphose into black humor. This reminds me how one of my best friends, Jeff, who is Jewish, turns tragic news into a matter of joke. It can offend, if you take it literally, but, really, it is a way of laughing back at the heartlessness of the world. Some call is Jewish humor. I think it is on that level that some readers of my work have been able to detect a Woodly Allenish streak, that my prose can take satirical, occasionally sarcastic turns as a way of critiquing society, hoping to strike a balance between acerbic and human, as it tries to impose a critical lens on the America I eat, drink and breathe. I have yet to come across another South Asian writer who dares to go that far with situations and language. In this collection I have invented two words that hint at my Woody Allenish play with words and American culture, Jesusocity and femole (a contraction of female mole), in two different stories. Tell us a little about your journey as an immigrant and how you have kept in touch with your roots. I came here in 1985 as a foreign student and have experienced life since then in its multifaceted ways here, from being at various educational institutions as a student, then as an instructor, having worked in all kinds of jobs, restaurants, cafes, libraries, bookstores, pizza delivery to other odd jobs, relationships and friendships, all of this contributes to self confidence which is required to look back and understand your roots and then look forward to understand the changing nature of your roots. Even my perception of what I belonged to changes with more, deeper understanding. There are two major ways in which a person remains in touch with his or her roots. One is by visiting the homeland, both physically and imaginatively, and/or finding an expatriate community nearby, both of which were accessible to me in San Francisco and around. The other way, which may not be available to all immigrants, is through literature and art and cinema. I was lucky enough to have felt a pull that drew me in those directions. You have studied business, film and library sciences and have done a good deal of translation work. How did you get into translating books? Did you feel that there was a vacuum in that area? It all started with Professor Roshni Rustomji-Kerns when she introduced me to Professor Umar Memon. We both shared a certain regard for Naiyer Masud’s short stories, a few of which Professor Memon had already translated into English. I had in fact read his book length translations, Color of Nothingness: Modern Urdu Short Stories, and Domain of Fear and Desire: Urdu Stories. As we got to know each other, I learned that he planned to have an issue of Annual of Urdu Studies dedicated to Naiyer Masud’s short stories. He asked me to take a stab at Itr-e Kafur (Essence of Camphor), which turned out to be a disaster. But he encrouaged me to rework on it, he guided me through the process, and taught me, in fact, how one goes about learning new things. If he had not insisted that I stick with it, I would have not thought of asking Elizabeth Bell, a brilliant translator and a friend of mine, to join forces. The process and the result were extremely rewarding. That’s how the journey started. There is a tremendous vaccuum when it comes to exchange of translations between South Asian and other languages. In the western context, the reason is simple: very few western academics and/or writers feel any need to learn South Asian languages, have a literary exchange, and translate a novel or short stories into the target language, into the language of a translator’s native tongue. So all that burden falls on the shoulders of the English speaking South Asians, and that cannot fill the vaccuum. Obviously it is a far more complicated problem. Just to provide a hint, it would be more fruitful if South Asian languages took up the challenge of translating across South Asian languages. But, unfortunately, our necks, as if by an invisible mighty hand, have been turned to New York and London. No one cares if a very good Bengali novel should be translated into Sindhi or not. Was it easy to get the translations out? Did it entail any struggle? I am not clear about the question. If you meant to ‘get the translations out’ as a finished/polished product, then no, it wasn’t easy! It is always a very difficult process, to arrive at a particular register of language that sounds right. But if you meant in terms of getting them published, then yes! 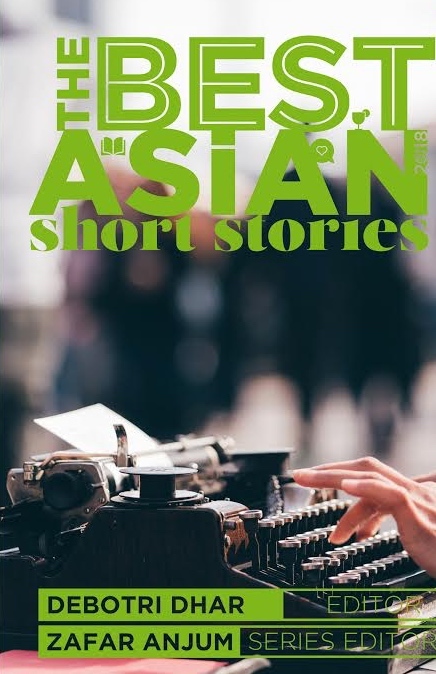 In the case of A Letter From India: Cotemporary Pakistani Short Stories, someone connected to Penguin, India, whom I had met through a friend in San Francisco, approached me to see if I’d be interested in such a project. I knew it was a huge task, and it meant putting my own writing on the back burner, but I also sensed that I should’ve seized upon something of this nature. So yes, it has been rather easy to find publishers for what I have translated. What do you think of the contemporary Urdu fiction scene in India and Pakistan? Who are the most important writers active in this field? I am not in any position to answer your question correctly. But it seems Urdu is doing fine with fine novels by the likes of Mirza Athar Baig and Shamsur Rahman Faruqi. It is also not my place to suggest who is important and who is not important but authors I have appreciated reading are Syed Mohammad Ashraf, Zakia Mashhadi, Asad Mohammad Khan, Naiyer Masud, Intizar Husain, Ikramullah, Fahmida Riaz, Khalid Toor, Hasan Manzar, Razia Fasih Ahmed, Ali Akbar Natiq and so on. At one time, Urdu could boast of world class writers such as Prem Chand, Krishan Chander, Manto, Rajendra Singh Bedi, Ismat Chughtai and Qurratul Ain Haider, among other stalwarts. Where are Urdu’s Amitav Ghoshes, Arundhati Roys and Aravind Adigas today? Do you think that Urdu literature is slowing dying? This is not a fair question, or even comparison. What you are in fact alluding to is the power of English language and its reach. Amitav Ghosh’s fame and stature partly depends on the fact that he chose to write in English. 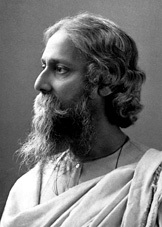 How many contemporary Bengali writers does the world know of? To give a short answer to your question, Urdu still has world class writers. One simply has to be involved with that world. It may be a small, shrinking world but it still has plenty of life left in it. The best way to stay up on is to read Urdu literary magazines such as Aaj, Dunyiazad, Zehn-e Jadid or Nya Warq. It is not always possible for me to be in the know about new emerging names in Urdu. But there are often surprises. There was a time when Urdu writers like Manto would translate the works of Russian masters into Urdu. That process of translating foreign works of literature into Urdu seems to have come to a halt (It is the other way round now). Do you think there is a need to revive this tradition to enliven Urdu? This impression is not true. There are people like Professor Memon, Salimurrehman, Shahid Hameed and Ajmal Kamal among others who have been doing some important work in the field of translation. But there is certainly a lack of infrastructure that academia and large and/or enlightened readership provide. The state plays an important role if it wants to see a vibrant literary society. It often sets things in motion where more people feel encouraged to translate and read literature in translation. That’s completely missing. Tell us about your new work, Café La Whore and Other Stories. What kind of stories have you compiled in this collection? What kinds of stories are you drawn to? While I see it as one of the ways of overcoming inner inhibition, he thinks it replicates immigrant behavior to overcome the many hurdles he or she must encounter in the new, unfamiliar environment. My stories are, on a personal level, more concerned with people on the margins of a comfort zone. Most of my characters are not cut off from bigger political realities. And of course they can dig humor. My stories are in contrast to the school of writing that stresses ‘write what you know’ type, while their roots are always connected to reality. For example, the title story Cafe Le Whore resulted from my email conversations with my friend Soniah Kamal. She had been editing an online special issue of South Asian writing and wanted me to contribute a piece. I would email a story and it would be either too long or had nothing to do with the theme. But she kept nudging me to write a non-fiction piece about my mother who had recently passed away. She would remind me how I had spoken to her many times so fondly about my mother’s life, when she was alive. It also plays with language as is evident in the use of the article Le and not La, the play on the city of my birth and flips the sanctity of the concept of mother upside down. Fundamentally, I am not a non-fiction writer. I have to try real hard. Out of that struggle was born the title story about a man whose mother had returned from the dead, and though shocked and happy, he was hurt when he learned what she had returned as. But the story is not just about trying to comprehend and mourn the loss of one’s mother, it also pays homage to certain writers and filmmakers in the process who have dealt with similar themes. The story also opens up a discussion about class politics. Some of the stories explore what happens when our assumptions about other people’s identities run into disappointments, how we go about the ritual of Othering in life and how we find ourselves at the other end sometimes, how we get locked inside the identity box we create for ourselves, the biggest hurdle to loving. Unless we allow the other’s identity to be a part of our own, the true union cannot take place. In that sense these stories are about barriers in life and love. What’s the most important Urdu book you’ve read this year? I began reading Mirza Athar Baig’s Ghulam Bagh. It’s a big book, so it’ll take time to finish it. Who are your favourite writers in any language? Well, there are too many. Just to name a few. Juan Rulfo, Rushdie, Garcia Marquez, Dostoyevsky, Adrian Rich, Toni Morrison, Najm Hosain Syed, Naiyer Masud, Intizar Husain, Uday Prakash, the list is too long, but I also tend to appreciate individual works too. I really like some stories by Ranbir Sidhu in his latest book Good Indian Girls. The same with Mahmud Rahman’s Killing the Water. I also search for stories by Chaiti Sen (whose stories have only appeared in literary magazines); a few stories by Zubair Ahmed, who writes in Punjabi. The title story of his latest collection Kabuter, Banere te Galiyan is one of the finest stories I have read in a long time. Linh Dinh’s Fake House has some really wonderful stories in it. 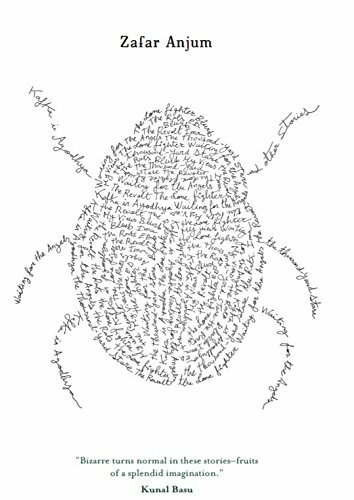 In poetry, Vivek Narayanan and Athena Kushyap have impressed me with their latest books. But there are many, many powerful writers writing currently in their respective corners. I’m in constant search for a good story here and a good novel there. Israeli writer Eshkol Nevo’s Homesick was very rewarding. Who, in your view, is the most overlooked or underappreciated writer in Urdu? This is again an opinion. But my guess is that it is Ikramullah. The scarcity of wide readership and academic/critical appreciation that his novels, novellas and short stories deserve, to say the least, is disappointing. What is your next work going to be? It is going be either a work of translation or my own collection of short stories. But then again it could be a novel. I wrote a novel Saheb which I put aside, but I think it needs to come out of hibernation. Thanks for letting me have this opportunity to speak my mind. Posted in Authors, Book, Features and tagged Cafe La Whore and Other Stories, Fiction, Moazzam Sheikh, translation, Urdu. Bookmark the permalink. A beautiful mind! Even as the questions stray, Moazzam Sheikh calmly and diplomatically asserts the true compass of the discussion, and in doing so guides the reader (and interviewer) on a fascinating journey through his very impressive thoughts in this interview.